When it comes to the delivery of goods, customers have come to expect faster delivery and real time tracking of their purchase. The transport of larger, palletised freight is no exception; the consumer also wants to know when their order is on route and when to expect it. Imperial Logistics group company Palletways, headquartered in the United Kingdom, has developed a new estimated time of arrival (ETA) service tool that puts total control in the customers’ hands with a wide range of service-enhancing features. Designed, developed and implemented by the Palletways IT team, the project was devised to improve customer experience and is a unique selling point in the market. A two hour delivery window during which to expect an order is sent to customers via SMS or email. The ETAs are not only available to the receivers of goods; they are also visible to those sending the freight, allowing them to see when all their shipments are being delivered in real time on their online dashboard. In addition to the ETA benefit, Palletways customers can send bespoke emails to their clients with dual branding, customised text and a list of the products being delivered. Developing the technology was only half the job. With over 100 delivery partners in the Palletways UK network, where the initiative was first launched, there was also a need for a comprehensive training programme for every staff member in the network. The success of this new ETA system is reflected in the virtual elimination of telephone calls from customers enquiring about when to expect their deliveries. Initially founded in the UK in 1994, Palletways provides an express delivery solution for consignments of palletised freight, and is the leading dedicated pallet network in Europe. The Palletways network operates more depots and handles greater volumes than any other pallet network. In total Palletways handles up to 45,000 pallets daily across all its operations. 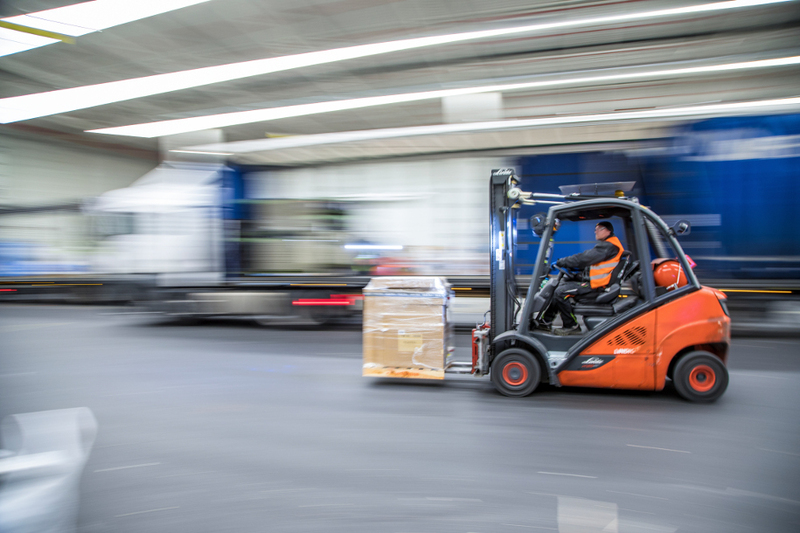 During a typical operating day, Palletways handles one pallet every second. Over the past 22 years Palletways has developed a strategic network of more than 400 depots and 18 hubs and now provides collection and delivery services across 20 European countries: Austria, Belgium, Bulgaria, Czech Republic, Denmark, Estonia, France, Germany, Italy, Latvia, Lithuania, Luxembourg, Netherlands, Poland, Portugal, Republic of Ireland, Romania, Spain, Slovakia and the United Kingdom.